In several states, DWI and DUI are classified as different charges entirely. 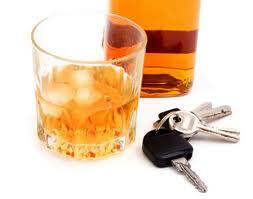 These states usually specify a DUI charge as a lesser form of a DWI charge. A drunk driver who is close to the legal BAC limit (slightly under or over 0.08) would receive a DUI offense, while someone with a remarkably higher BAC level might receive a DWI. In these states, a DWI charge can oftentimes be reduced to a DUI charge—a less severe offense. Some states use other terms to describe their drunk driving offenses. For instance, Wisconsin employs the acronym OUIL (Operating Under the Influence of an Intoxicating Liquor), while Michigan uses the term OUI (Operating Under the Influence). All of these various terms mean essentially the same thing—that someone is caught driving under the influence of alcohol or a controlled substance. Minnesota has adopted a “Zero Tolerance” policy, establishing 0.08 as the legal blood alcohol content limit. Anyone with a BAC level higher than this limit can be charged with a DWI. As such, from a legal standpoint, there is no such thing as a DUI (Driving Under the Influence) in Minnesota. DWI (Driving While Intoxicated/Impaired) is the only legal term used by Minnesota DWI attorneys and other legal professionals in this state.